In this gripping, emotionally charged novel, a tragedy in Texas changes the course of three lives. On an oppressively hot Monday in August of 1966, a student and former marine named Charles Whitman hauled a footlocker of guns to the top of the University of Texas tower and began firing on pedestrians below. Before it was over, sixteen people had been killed and thirty-two wounded. It was the first mass shooting of civilians on a campus in American history. Monday, Monday follows three students caught up in the massacre: Shelly, who leaves her math class and walks directly into the path of the bullets, and two cousins, Wyatt and Jack, who heroically rush from their classrooms to help the victims. On this searing day, a relationship begins that will eventually entangle these three young people in a forbidden love affair, an illicit pregnancy, and a vow of secrecy that will span forty years. Reunited decades after the tragedy, they will be forced to confront the event that changed their lives and that has silently and persistently ruled the lives of their children. 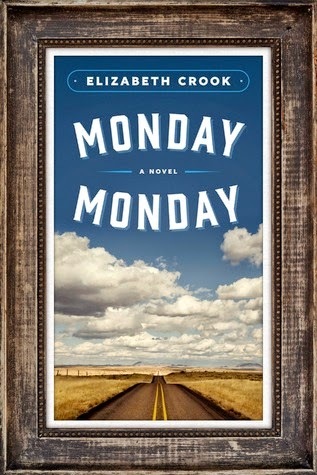 With electrifying storytelling and the powerful sense of destiny found in Ann Patchett's Bel Canto, and with the epic sweep of Jess Walter's Beautiful Ruins, Elizabeth Crook's Monday, Monday explores the ways in which we sustain ourselves and one another when the unthinkable happens. At its core, it is the story of a woman determined to make peace with herself, with the people she loves, and with a history that will not let her go. A humane treatment of a national tragedy, it marks a generous and thrilling new direction for a gifted American writer. Elizabeth Crook, author of Monday, Monday: A Novel, is the author of three novels, The Raven's Bride, Promised Lands, and The Night Journal. She has written for anthologies and periodicals, including Texas Monthly and the Southwestern Historical Quarterly, and has served on the council of the Texas Institute of Letters. Currently she is a member of the board of directors of the Texas Book Festival. She lives in Austin with her husband and two children. For more information please visit http://elizabethcrookbooks.com and follow the author on Facebook. Fill in the form if you reside in the US. I remember that event even though I was just a kid at the time, and I've read a non-fiction account of it as well. This looks like a great treatment too. Thanks for the chance to win a copy. Sounds like a thought-provoking book. Thanks for the giveaway.